1439 Ridge Rd, Homewood, AL.| MLS# 826085 | Richard Jacks UABLIVING.com 205-910-2297 | Birmingham AL Real Estate | Contact us to request more information about our Homes for Sale in the Birmingham AL area. 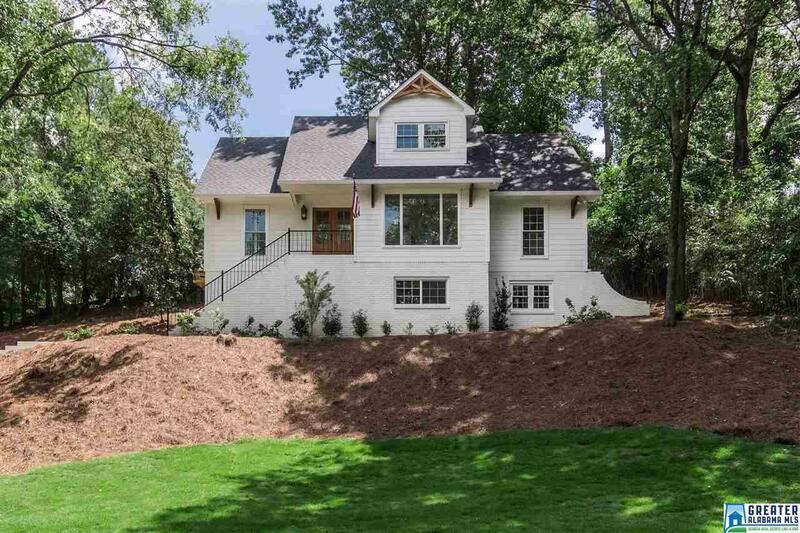 You must see this absolute gem in Homewood! Right in the middle of Edgewood is where you will find this completely custom 5 bedroom/ 3.5 bath masterpiece. Open floor plan with tons of natural light includes craftsman style cabinetry, marble counter tops, antique style accents, new stainless appliances, and many other amenities throughout this home&apos;s 2800+ sq/ft. The main level is stunning and functional with a custom entry way that leads to the large open living room and kitchen that is vaulted with cedar beams. Rounding out the main level is a formal dining space, laundry, and a spectacular master suite with a double shower and a large walk in closet. Upstairs are three generously sized bedrooms as well as another show-stopping bathroom. Down stairs you will find the perfect mother-in-law suite or home office equipped with a full bathroom, living area, second laundry space, and two car garage. This home has it all! Completely unique and incredibly beautiful! Driving Directions: I-65 To Oxmoor Rd To Edgewood. Right On Broadway. Left Of Roseland, Right On Kenilworth. House It At Corner Of Ridge And Kenilworth.